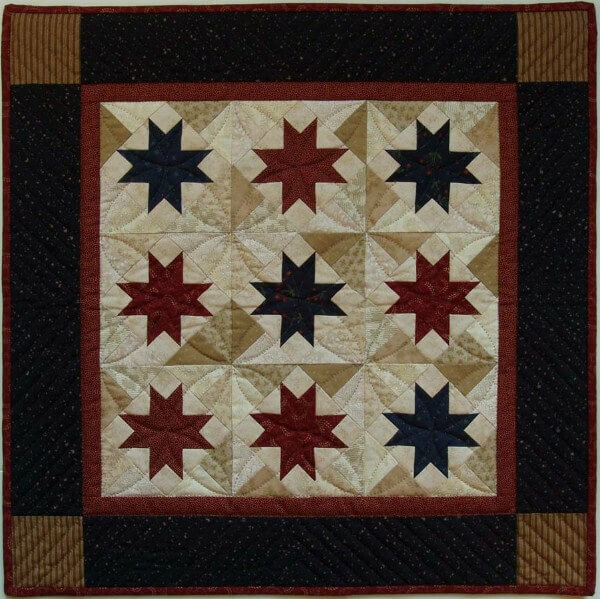 The Scrap Stars Wall Quilt Kit from Rachels of Greenfield includes all 100 percent cotton fabrics needed to complete entire quilt (including quilt top, back, and binding), batting, quilting designs, and complete instructions. Colors are red, navy, midnight, and an assortment of neutral shades ranging from cream to paper bag. Finished size is 22in x 22in.